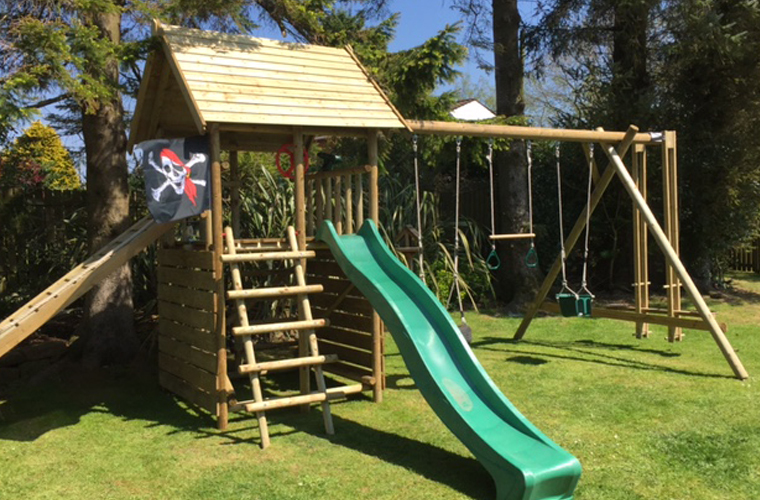 Main structure: a Garden Play Fort constructed from quality timber with a 3.0m fibreglass wave slide, two access ladders and a climbing ramp with pull rope. The swing element provided is a triple swing frame with extension. It has three double swing points and a single swing point on the extension. A Push Me Pull You was put on the extension. The client also decided to buy the Wooden Tidy Sandpit. 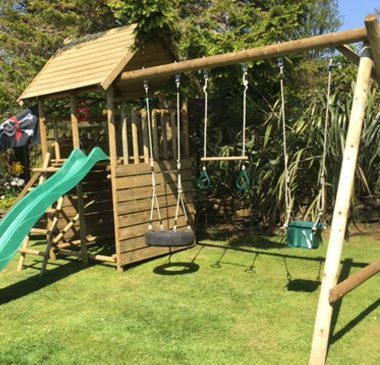 Garden Play Fort Case Study – our clients were looking for outdoor play equipment to suit their garden space. To install a Garden Play Fort with add-ons. 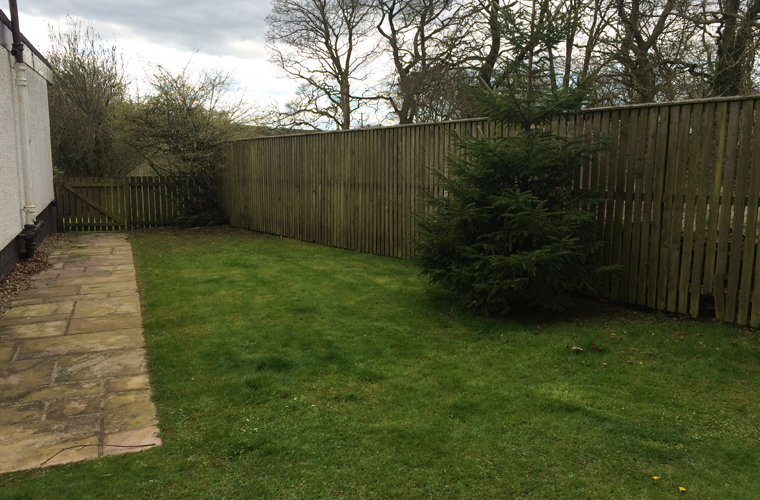 Following a few telephone conversations the client sent us a drawing of the available space. We were able to use and plan the equipment on the client’s behalf without a site visit. 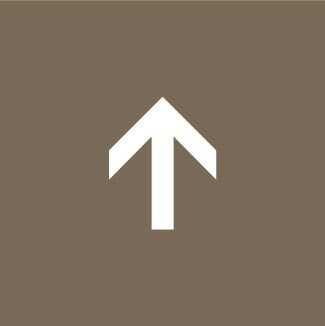 It was decided that it would be preferable to install equipment in a long line. 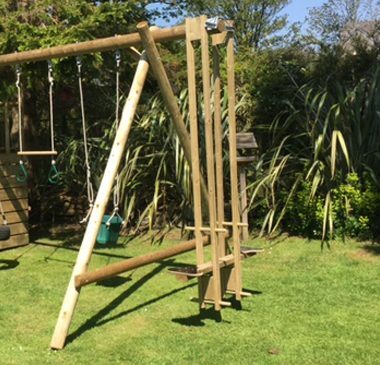 The clients were looking to place the fort built as close to the fence as possible taking into account the necessary 1.5m safety area required around the fort and the 2m required in front of and behind the swings. This was possible and there was plenty of space at the front and side the play unit for the slide and the ramp to extend out. 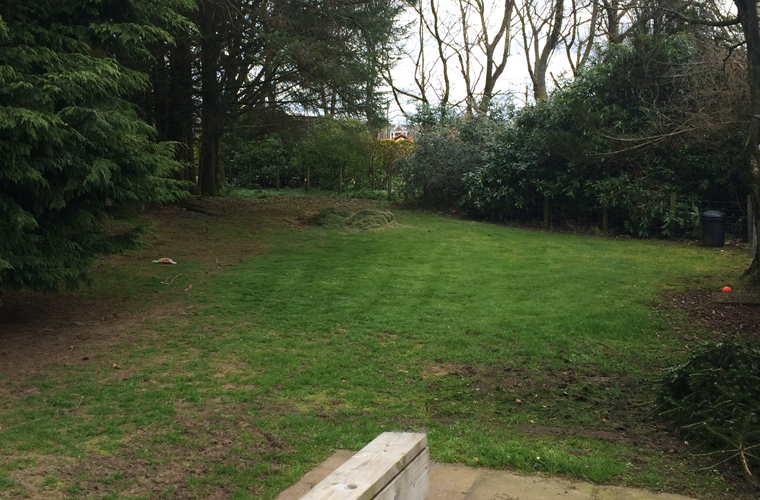 There was a second optional location in what they call the ‘dog garden’ which can get a little wet underfoot. It was decided not to use that area. The clients were very pleased with the product once it was installed. If you would like a Garden Play Fort (with modifications or without!) 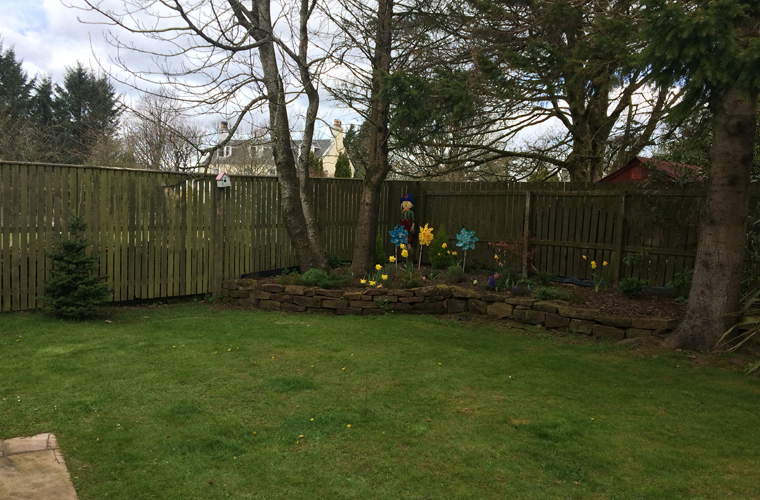 then please email info@caledoniaplay.com or call 01577 840570 for help and suggestions on choosing the best product for your garden. 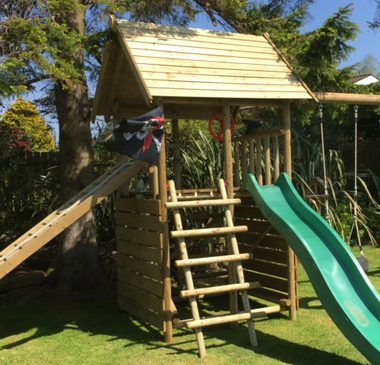 “Cannot explain how pleased we are with our garden play fort. Our kids are going to love it for a VERY long time. First class customer service and quality.